Simon & Schuster are never afraid to push the boundaries and make the most out of their Coffee Shop advertising campaigns. This time is no different with a first for Tabletalk in our Coffee Shop network with book signings by the author! To promote Our House by Louise Candlish, author of The Sunday Times bestseller that everyone is talking about, Simon & Schuster invested in Coffee Cup advertising in Coffee Shops across London. 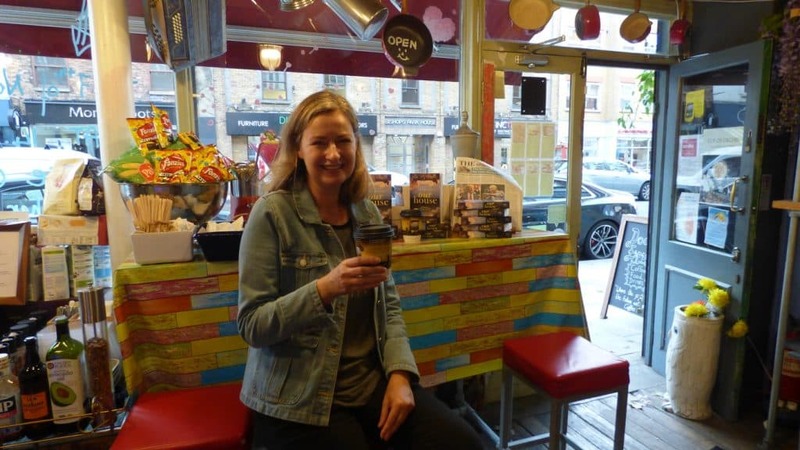 To add an extra special twist, the author herself visited 3 Coffee Shops in West London to give lucky fans signed copies of her book. Such a clever way to elevate the consumer experience and provide an opportunity to extend the promotion online via social media with a bit of newsworthy shareable content. Pictured here the author herself!